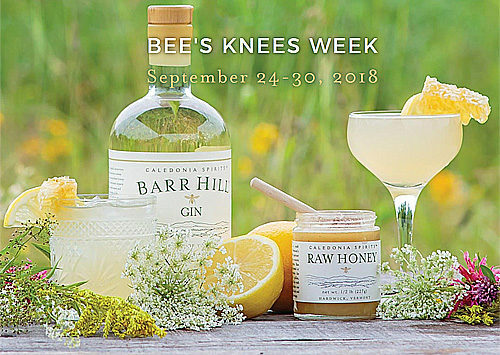 From Monday, September 24 through Sunday, September 30 Roofers Union and Jug & Table are teaming up with Barr Hill Gin to celebrate Bee’s Knees Week and raise funds for The Bee Cause Project. During the week, $1 from every “Bees in the Monastery” punch bowl sold at Roofers Union and every “Bee’s Knees” cocktail sold at Jug & Table will be donated to the organization. Donations will help The Bee Cause Project install beehives at local DC organizations to protect bees and raise awareness of their importance.